An employment verification letter is a letter that acts as proof that an employee is currently employed at a certain companyPrivate vs Public CompanyThe main difference between a private vs public company is that the shares of a public company are traded on a stock exchange, while a private company's shares are not. There are several more important differences to understand or was previously employed at a company. The letter is often used to attest to an employee’s experience in a specific field, residence in a given location, or their eligibility to access certain privileges. An employment verification letter is sometimes required when an employee is applying for a job with a company and the prospective employer wishes to verify that the applicant has indeed worked at a certain company or in a specific capacity. Also, when buying a new home, a mortgage lenderFHA LoanFHA stands for the Federal Housing Administration. An FHA loan is a mortgage that is insured – or backed – by the federal agency. In other words, an FHA loan is a government-guaranteed mortgage. The loan enables individuals with lower credit scores to secure money to purchase a home. may require the buyer to provide an employment verification letter as evidence that he/she will be able to honor their obligations by making timely payments towards the purchase of the house. Other parties that may require a verification letter include insurance companies, financial institutionsKey Players in the Capital MarketsIn this article, we provide a general overview of the key players and their respective roles in the capital markets. The capital markets consist of two types of markets: primary and secondary. This guide will provide an overview of all the major companies and careers across the capital markets., landlords, and government agencies. When a current or former employee requests an employment verification letter, the request should be reasonable and professional. If the company has a human resources department, the request should be directed to the human resources managerENFJ CareersFor most people, choosing the right career is often a daunting task, especially if they do not know their personality type well. The Myers–Briggs Personality Type Indicator can help people discover their personality and the combination of characteristics that can help them find their dream job among ENFJ careers.. In the absence of a ready template, the employee requesting the letter can prepare the form that includes all the required information and forward it to the appropriate person. That person will fill out the form and stamp it with the company’s official stamp so that it can be used for official purposes. Verification of past employment forms part of an applicant’s screening process, and some employers may want to obtain a physical letter that provides information about an applicant’s past employment and previous employers. A prospective employer may be interested in verifying the employee’s name, type of employment, positions held, responsibilities, and information about the employee’s salary and bonusesRemunerationRemuneration is any type of compensation or payment that an individual or employee receives as payment for their services or the work that they do for an organization or company. It includes whatever base salary an employee receives, along with other types of payment that accrue during the course of their work, which. The employer can telephone or write to specific former employers of an applicant to request the specific information they are interested in obtaining. 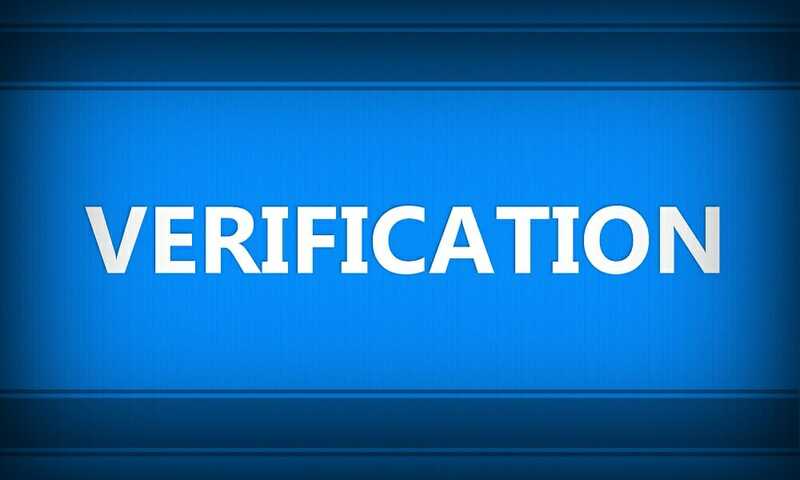 Financial institutions, mortgage lenders, and insurance companies may also request for an employment verification letter, with the aim of establishing the income status of an employee and their ability to meet certain obligations. For example, a financial institution may want to verify an employee’s employment status, salary and bonuses, current obligations, and current place of residence. The current or previous employers should provide the company’s mailing address, email address, and phone number so that the hiring company can contact them in the future if necessary. The contact information also helps to establish that the company is a genuine company. This section of a verification letter contains a confirmation stating that the employee indeed worked at the company during a specified time period. It should indicate when the employee started working with the company and the date when they left the company. This section provides a detailed explanation of the employee’s role in the company. It provides details of the various positions that the employee held in the company, the responsibilities they performed in the company, the type of employment (full-time, part-time, etc. ), any awards or achievements earned by the employee, and the employee’s compensation, such as salary and bonuses. The letter should also include the signature and stamp of the company at the bottom to prove that the letter came from the employee’s former company and that it is an official document. The employment verification letter should be brief and only include information that the prospective employer or other third parties have requested. Different companies follow different policies regarding the release of certain sensitive information such as salary and bonuses. Such information can only be released after an employee signs a release form that grants permission to disclose the information. A prospective employer may want proof of employment as part of the company’s background check procedures on job applicants, in order to verify that they are truthful about their employment history. The new employer is interested in knowing where the employee worked in the past, their job title, and job responsibilities. When buying or renting a new home, the mortgage lender or landlord might require an employment verification letter to confirm employment status and annual income. The other party wants to verify that the individual’s annual income is enough to meet the mortgage payments or the monthly rent and maintenance costs.